Here is an approximately 1.80Ct Green Apatite and Diamond Ring set in Sterling Silver. The center was tested at the Gem Lab today. 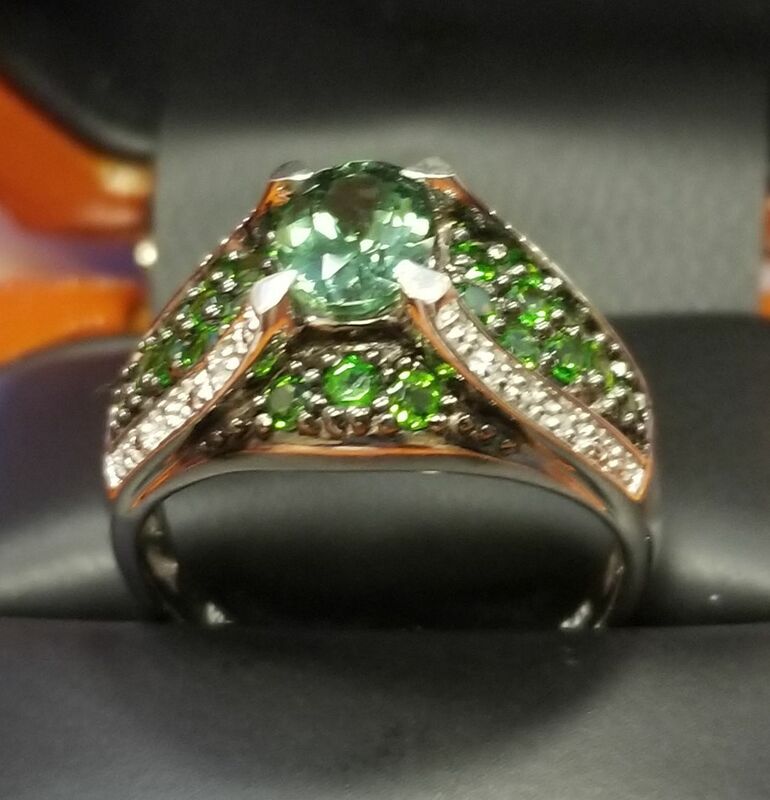 This is a great looking Green Gem and Diamond design. Black Friday Deals. $50 comes in gift box and includes signature delivery to your door.